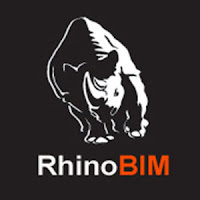 RhinoBIM properties are now in the Rhino's Property tab. EDIT Rotation: Before only integer increment allowed. Now rotates in four decimal place degrees. Highlight elements behavior: Now highlights and selects.